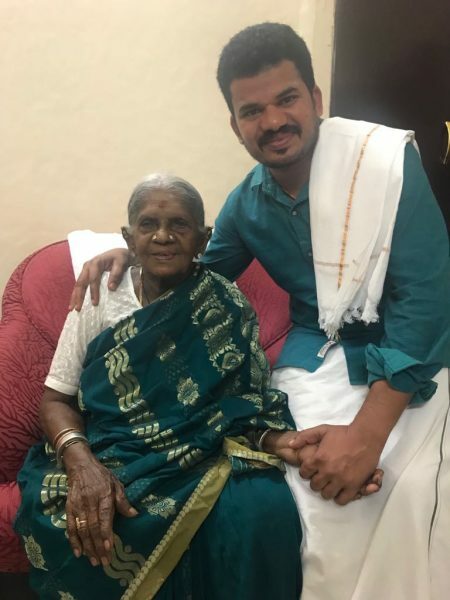 Saalumarada Thimmakka(106 years) is in Belagavi enroute New Delhi where she has been invited by Prime Minister Narendra Modi to take part in the Swacch Bharat Abhiyan on Oct 2 in the capital. She is an environmentalist from the state of Karnataka, noted for her work in planting and tending to 384 banyan trees along a four-kilometre stretch of highway between Hulikal and Kudur. She has been lauded for having planted more than 8,000 trees in 80 years. Out of respect for her phenomenal work, locals call her ‘Saalumarada’, meaning row of trees in Kannada. Banyan trees were aplenty near Thimmakka’s village. Thimakka and her husband started grafting saplings from these trees. Ten saplings were grafted in the first year and they were planted along a distance of 4 kilometers near the neighbouring village of Kudoor. Fifteen saplings were planted in the second year and 20 in the third year. She used her own meager resources for planting these trees. The couple used to carry four pails of water for a distance of four kilometers to water the saplings. They were also protected from grazing cattle by fencing them with thorny shrubs. Welcome to Belgaum. God bless.